dignity of the profession of Statistician in a strictly fiduciary manner. Membership is restricted to persons who have an active interest in the objective of the Institute. Every member is required to uphold the dignity of the profession of Statistician in a strictly fiduciary manner. All associations, institutions, companies and physical persons that wish to be admitted to Membership must submit a written application on the ICCSSA prescribed form to the BoI at least 30 days prior to a BoI meeting. The BoI will circulate the applications to all ICCSSA members and will reserve the right of admission to ICCSSA of any applicant. The new Members will be announced and presented with a Certificate or Charter. A candidate for election to membership of the Institute or for transfer to another grade of membership shall be duly notified of the BoI decision, in writing, by the Institute Secretary regarding their application. The BoI shall provide every member with a Certificate or Charter showing the type of membership to which they have been elected or transferred to. Such Certificate or Charter will remain the property of the Institute and shall be returned to the Institute on request of the BoI. There shall be six categories: Founder Members, Chartered Members, Certificated Members, Beneficiary Members, Honorary Members and Associate Members. Only Founder Members, Certificated and Chartered Members have the right to vote on matters concerning the conduct of the affairs of the Institute. Only a member of the Institute shall be entitled to use the authorised letters, as set out in the Bye-Laws (ref 4.3.1 in the bye-laws), designating their type of membership in the Institute. All Members participate during the life of ICCSSA and must be compliant to the Bye-Laws and the deliberation of the Assemblies, co-operating materially and morally at the operations of ICCSSA. Applicants who graduated from non-South African Universities will be assessed on merit by the BoI (ref 4.2 in the bye-laws). FMs: Physical persons that constituted the first Bye-Laws for the founding of ICCSSA and who are compliant with 4.3.1.3 or 4.3.2.2 in the bye-laws. ChMs: must at least be in possession of BScHons or PGDip on an NQF Level 8 qualification from a South African University with a major in Statistical Sciences and have fulfilled an approved internship as set out under point 4.3.6 in the bye-laws. ICCSSA will recommend approval to SACNASP for Professional registration. ChMs that, in the past, have already registered as Professional Natural Scientists with SACNASP will have preferential admission to this category, as deemed by the BoI. FMs and ChMs can be represented at Assemblies physically or by proxy (by means of a duly fully delegated signed form provided by ICCSSA). Members that, not being part of 1. above would be or have been admitted afterwards. Must be in possession of at least a 360 credit Bachelor Degree or Diploma or an equivalent degree from a University, with a major in Statistical Sciences. Such Degree should be on NQF Level 7 and Diploma on NQF Level 6. ICCSSA will recommend approval to SACNASP for Certificated registration. CeMs that, in the past, have already registered as Certificated Natural Scientists with SACNASP will have preferential admission to this category, as deemed by the BoI. Must have fulfilled an approved Internship (refer to 4.3.6 in the bye-laws). CeM’s can be represented at Assemblies physically or by proxy (by means of a duly fully delegated signed form). Entities or individuals that have contributed financially to the ICCSSA by means of donations of at least R 5000 (five thousand). They must be compliant to the Bye-Laws. Members that for relevant services or support or meritorious conduct towards ICCSSA, are nominated by the General Assembly. HM’s are not subject to membership fees, may participate at General Assembly meetings, but do not have the right to the vote. Members having fulfilled a partial requirement mentioned in 4.3.1, 4.3.2, 4.3.3 and 4.3.4 in the bye-laws. All Members or Companies or institutions sympathetic to the Bye-Laws of ICCSSA. These Members require special Membership fees and do not enjoy the right of the vote. 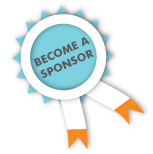 These Members enjoy Membership fees at events organized or in affiliation with other Organizations. These Members enjoy special rates when engaging in projects with the Institute. A member may resign from the Institute by sending their resignation in writing to the Secretary of the Institute for submission to the BoI. Any moneys due by the member shall be paid forthwith. On acknowledgement of the resignation by the BoI the member will return any Certificates or Charter issued. A member whose annual subscription is not paid by the stipulated date shall cease to be in good standing and shall no longer be entitled to exercise the rights and privileges of membership. The BoI shall have power to take such action, under the recommendation of the Disciplinary Committee (DC, see 5.4 in the bye-laws), as it may consider necessary in the case of any member whose continued membership would, in its opinion, be contrary to the interests of the Institute, provided any such action shall be agreed upon by two-thirds of the members present and voting at the BoI meeting at which such decision is taken. Notice of intention to consider the matter at a particular BoI meeting shall be given to all members of Board. The BoI may re-admit to membership in the appropriate grade under such conditions as the BoI may determine, any person whose membership has terminated from any cause provided that the BoI is satisfied that their readmission would be in the interests of the Institute. The BoI may decide to refuse admission in any particular case without assigning a reason. ICCSSA recognises that the Chartered Statisticians and the Certificated Statisticians need to continuously develop themselves through various activities of professional development. The professional status in an industry is underpinned by a body of scientific knowledge and the application of that knowledge in the real world of work. 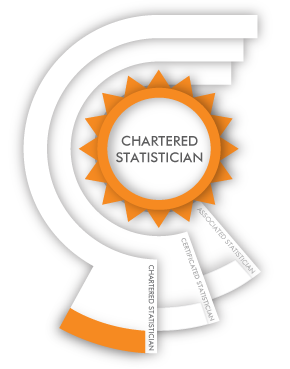 The Chartered Statistician and the Certificated Statistician sets an industry standard of professional competence gained through formal study and informal learning processes. 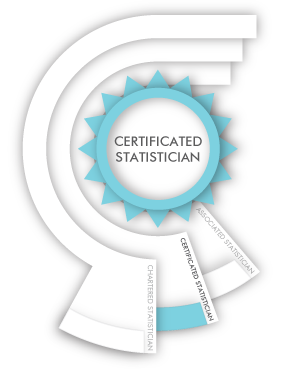 The Chartered Statistician and a Certificated Statistician, therefore, must maintain their professional status through a process of continuous learning and professional development. ICCSSA defines Continuous Professional Development as the systematic improvement and maintenance of knowledge and skills, as well as the development of personal qualities of the Chartered Statistician and Certificated Statistician necessary for the execution of the professional and technical duties throughout their careers in Statistics. Certificated and Chartered Statisticians are obliged to continually develop themselves by engaging in further studies, attendance at relevant business related conferences, workshops etc. to remain competent in the various aspects of their work. ICCSSA has ruled that during a five (5) year cycle every Chartered Statistician must accumulate a minimum of 25 CPD “credits” in order to qualify for a Charter renewal. The renewal will incur an administrative fee as set by the BoI. In addition to the requirements stipulated in par. 4.3.6 in the bye-laws, Certificated Statisticians must accumulate a minimum of 6 CPD credits to qualify for an upgrade to a Chartered Statistician. These can be accredited towards the first renewal. Compulsory – 1 CDP per annum with a max of 4 CPDs per annum. This category covers all developmental activities such as formal courses, conferences, seminars, workshops and colloquiums which have been validated and awarded CPD credits by ICCSSA. Other activities from service providers can be submitted to the BoI for evaluation, validation and consideration as continuing development. ICCSSA will levy a charge for the accreditation process. Courses supplied by accredited tertiary institutions (e.g. a university) are automatically validated in this category, for CPD credits. 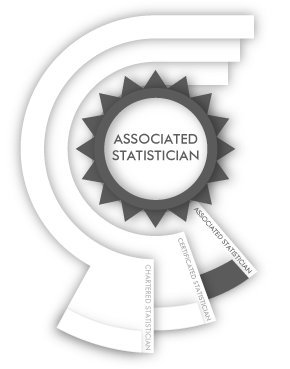 This category covers statistical work activities that are performed when carrying out professional responsibilities in the course of normal daily work.Certificated and Chartered Statisticians can claim up to 2 CPDs per year, one for every 400 hrs of statistical related work (including ‘managing’ statistical work).An applicant may also claim an additional credit for time spent mentoring. A maximum of 3 CPDs may be obtained in this category per annum. This category covers individual activities such as membership of SASA, ICCSSA and SACNASP which will earn 1 CPD credit per Association per annum.In this category there are many other activities which can earn CPD credits. For example: participation in statutory, professional, institutional, technical, and non-technical committees or task groups, evaluation of statistical programmes, evaluation of educational qualifications, evaluation of statistical competence, completed post graduation qualifications, self study (including articles in journals), etc. A maximum of 3 CPDs may be obtained in this category per annum.At least 1 CPD credit must be obtained in at least 2 of the 3 categories, of which Category 1 is compulsory. Additional credits obtained in a year may be carried over to the next year but not beyond the 5-year cycle period.